Yum Yum Yum!!! As soon as I figure out how to post them, I will contribute my pics. It is physically painful to be this much of a computer i-d-i-o-t! hahahahahahaha Rouxb. You crack me up! I want to marry Heath. Yes, I am now officially 12. I so know what you mean. Clarissa, recalling earlier posts of yours, you and I are approximately the same age ( I think I'm a couple of years older) and it is disturbing to be lusting after someone who in many of these photos is an actual teenager! Yet, how could any sentient being NOT? A little Saturday afternoon viewing.. 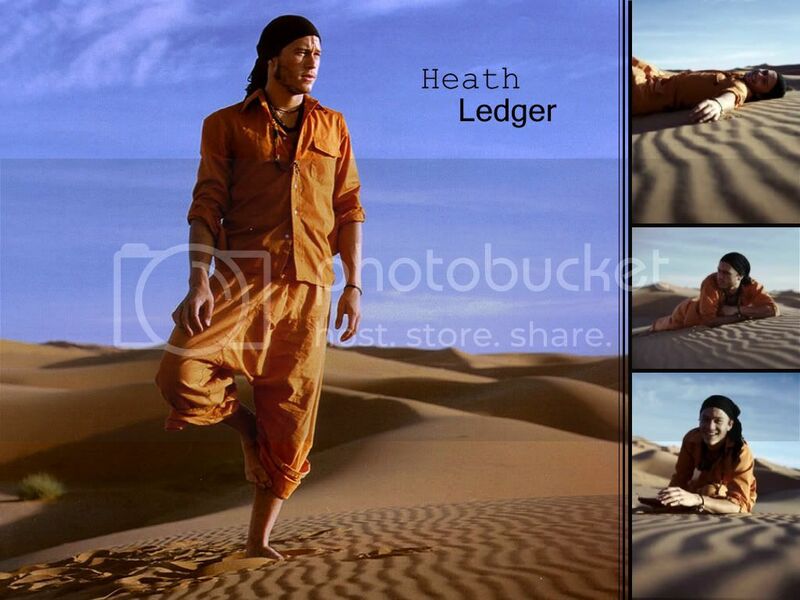 If you don't point out that it is Heath, I would think he is Brad Pitt. Heath does look like Brad Pitt in this picture. Wow, I love that "Heath of Arabia" shot, Leslie! Do da bump for Da Lord of Dogtown! Lords of Dogtown premiers next week on cable-Starz. Lots of Heath, Jake, Ang, action on TV lately. And it's alllll good! Heath is great in Lords of Dogtown. When I saw it, last summer, I knew Brokeback would turn out all right. And the movie is fun!